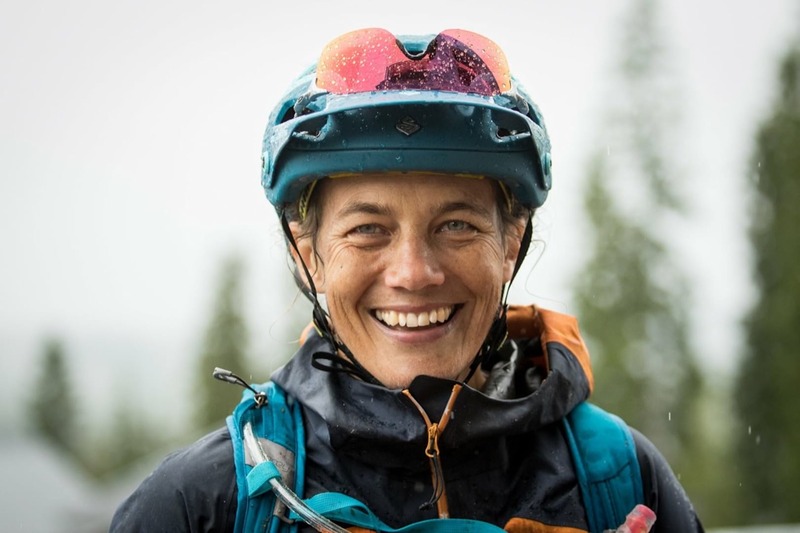 Compared to 2017, the finalists for this year’s Singletrack Reader Award ‘Mountain Bike Personality of The Year’ have a lot in common: they’re all current or ex professional racers, they have all been successful in more than one MTB discipline, and they are all women. But there’s also a lot that separates them too; be it the length of their careers, their past and current achievements and goals, and the different reasons that we might see them as a personality. 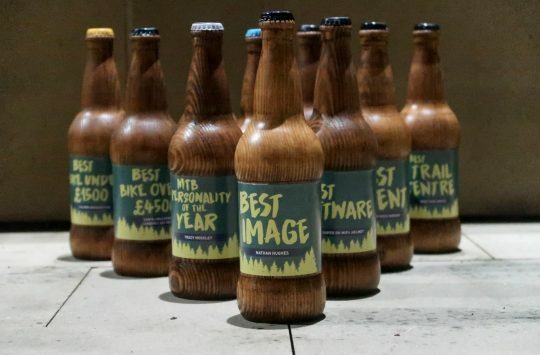 Our finalists have been selected from nominations by you lovely readers. But it’s not been a simple matter of counting, it’s the reasons why you’ve put them forward that the Singletrack shortlisters have been interested in (and argued long and hard about). It’s not just personal success that makes you a MTB personality, it’s how you inspire others and what you give back to the sport too. Now it’s over to the finalists to tell us a bit more about what they’ve been up to this year and what it means to be nominated for this award. “Looking back this year has been one that I still can’t believe has happened. I started off my year winning my first ever elite cyclocross World Cup, in front of all my family in Namur. I then went on to podium in Hoogerheide World Cup the week before I won my second World Championship for Under 23. It was definitely a ‘pinch me’ start to the year. “My dream came true when I was selected to represent England in the Commonwealth Games, coming away with silver was insane and I really couldn’t believe it. My MTB season continued with second and third places in the Under 23 World Cups. “As a child therapist and mountaineer, mine was not a standard performance pathway to full time XC mountain bike racing. Focusing so hard on improving my physical performance completely excluded other people’s needs and my desire for adventure so I made a pact with myself to give something back to others and be true to myself after the 2014 Commonwealth Games. 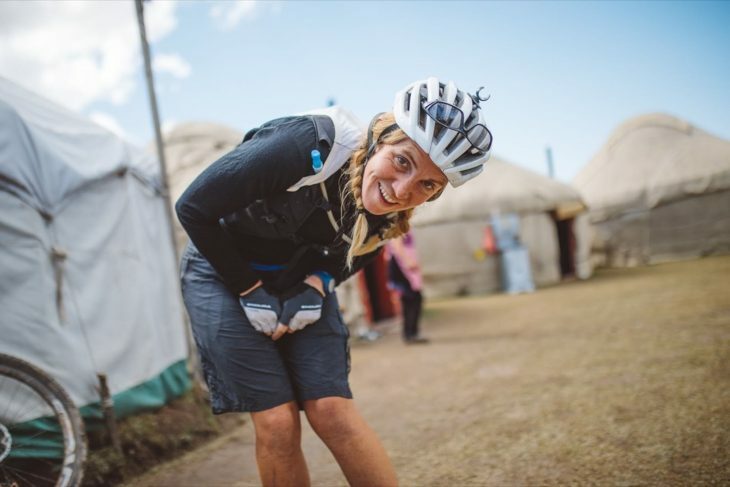 “Exploring wild places by bike with like-minded people has given me so much physically, emotionally and socially over the years that I really wanted to ensure others had the opportunity to realise how enriching mountain biking could be. 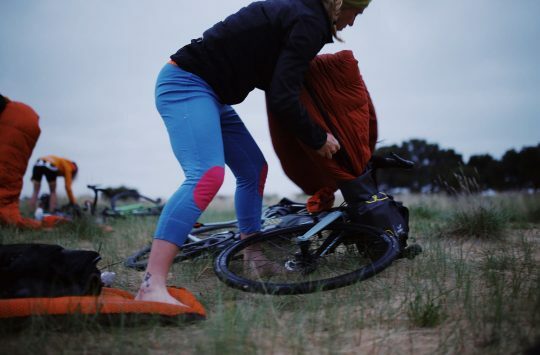 These days, by telling tales of bike adventures and by offering practical training and confidence raising, it is my hope I can encourage more people (especially young women) to explore what it’s possible to achieve both on and off the bike. 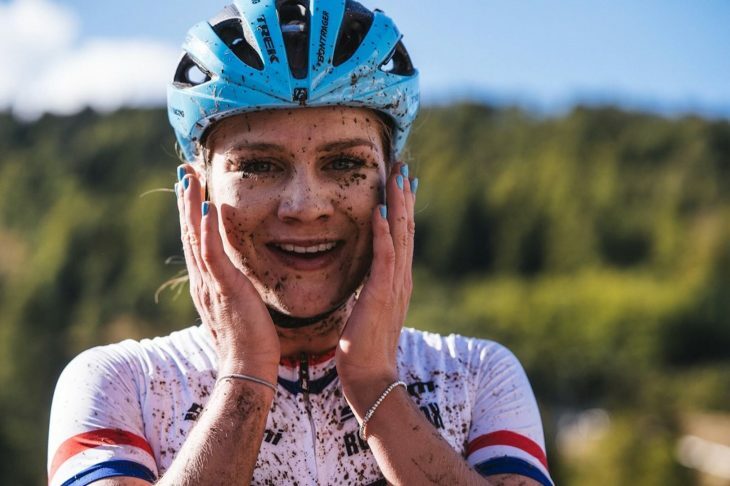 “I feel very proud to have helped four teenage girls from Dingwall Academy compete in the Strathpuffer 24 hour mountain bike event this January. We organised the girl’s team pits and chaperoned them on every lap to ensure they came away with the realisation that they are capable of more than they thought they were. And I continue to learn this lesson myself. On this year’s Highland Trail 550, I somehow managed to ride the 550 mile self-supported mountain bike time-trial around the Highlands of Scotland to finish in second place overall, becoming one of only six riders to ever complete the course in under four days. “The last 12 months have been a bit of blur to say the least. Having a family was always on our radar so stepping back from full time racing was part of that plan, but as ever with me I like to keep busy and spent most of last summer in my early months of pregnancy still working as a technical coach for British Cycling working with one of your other finalists Evie, quite a lot. I also did some presenting for the Enduro World Series as well as my role as an ambassador for Trek bicycles, travelling all over inspiring people to ride bikes. “Over the winter the bike riding slowed down and I took over the logistics for the Trek Enduro team for 2019. I also supported Hattie Harnden at a number of CX races and two trips to Belgium as pregnant lady in the pits washing bikes! “Since having Toby in March I have been back on my bike, slowly trying to regain some sort of fitness. I have worked at the European Enduro Series races this summer and very recently some technical coaching role at this year’s World Champs in Switzerland. I have also managed a couple of bike races myself; the Malvern Classic Dual Slalom, Lovecross at Tweedlove and the ArdRock Enduro. “Mixing the two worlds has been fun, challenging and at a times exhausting, but would not have been possible without the support of my rock, dad and better half James Richards. Selecting the winner is now down to you. Which of our three finalists would you give this year’s STRAW Personality to? Voting is now open here, you have until 10th October to cast your vote. What an inspiring trio, do we have to choose? @matt_outandabout – I agree. The more time I spent thinking about it as I wrote this, the harder the choice became. I ended up not voting in the category!